The Williamson Cabin, Bob Calvert Mountain, Cullman AL. (The Adrew Williamson Family is pictured at the entrance). Designer Emma Doss, Seibels Cottage. We really enjoyed covering the Williamson cabin. It truly is a beautiful little home, in a very magical setting deep on a wooded lot that borders Smith Lake from the highest point in Cullman County, Bob Calvert mountain. 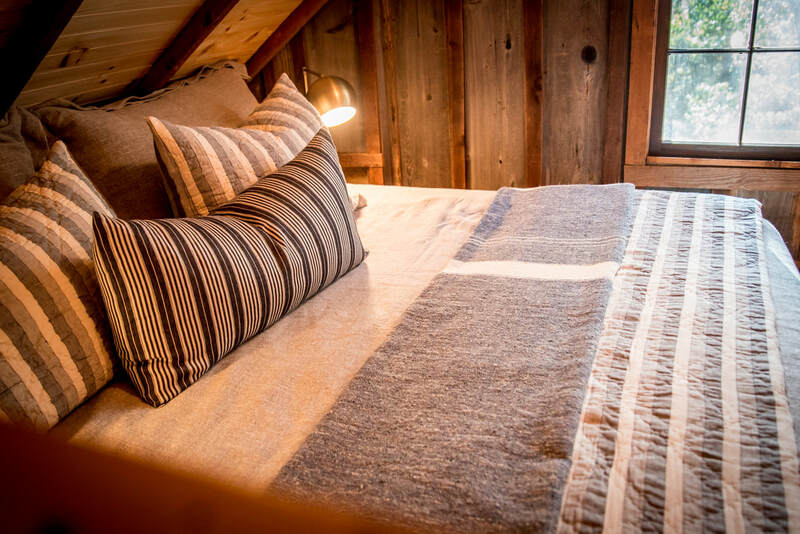 Its history is still being unfolded as the owners, Andrew and Meg Williamson, are taking their time in the next few years to restore the cabin in a way that will preserve history but also provide proper living areas for their family of four. 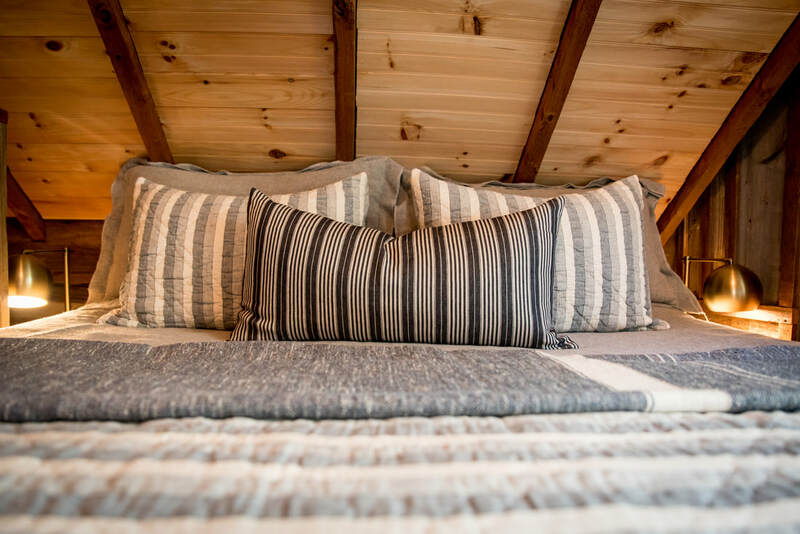 The tiny home speaks for itself in rustic appeal, and it served as a fantastic backdrop with all the natural elements and textures to showcase some special staple pieces from Seibels Cottage in Homewood, Alabama. Seibels is truly a one stop shop for all things lake decor. Their carefully curated products and designer services can raise the level of sophistication in your lake home overall one piece at a time. Seibels allowed Designer Emma Doss to pick the pieces, design the shots, and direct the overall photo shoot, and she did an incredible job working with us in such close quarters. Below we're highlighting individual items shown in the article beginning on page 39-50. Click the photos to go directly to complete descriptions & options of each product on Seibels' website. The outdoor entry was already prepared with mums, plants, and pumpkins from the Thanksgiving holiday, but adding a beautiful natural rug with a fish print, just pulled the lake in better. The rug was nestled between the flowers and plants that anchored the entry. Natural Coir Doormat with Fish Stencil, Seibels Cottage. ​A cozy nook in the living room is defined by an Old Hickory chair with loads of character, alone it embodies the feel of lake living. Sitting beside a leather couch adorned by a luxurious faux mink throw and lush pillow, the nook is instantly warm, cozy and inviting. The pieces that tie this space together are the framed Lake Map, the Birch Lamp, Bark Candle and of course the must-have cow-hide rug making this arrangement an exclamation point right at the front door area. Old Hickory Two Hoop Chair, Seibels Cottage. Aspen Bark Table Lamp, Seibels Cottage. 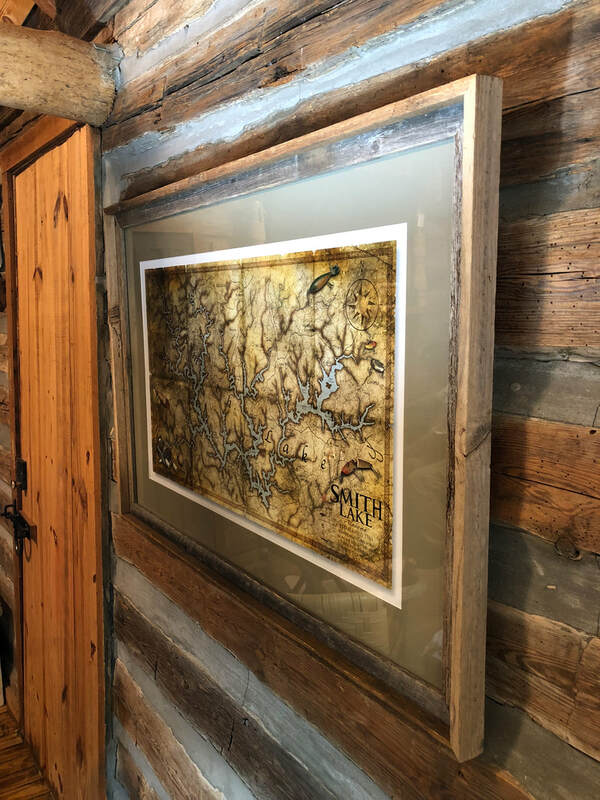 Large Lake Map framed, 27"x39", Seibels Cottage. Check out all the other maps on this link as well! Tree Bark Candle, comes in 5 enveloping fragrances, Seibels Cottage. Fabulous Furs Couture Throw Ivory Mink, Seibels Cottage. 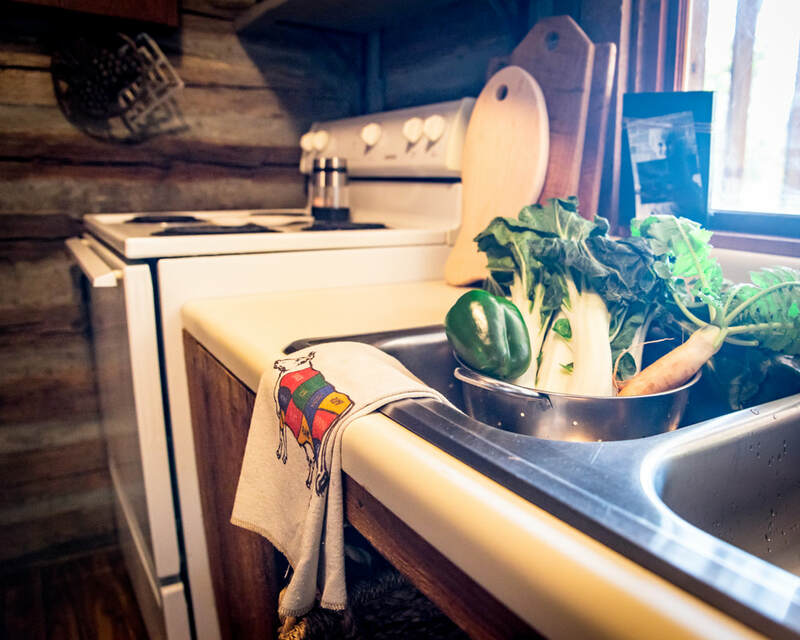 Be sure to check out the original article for more photos of the small kitchen. Not much had to be added in the kitchen to elevate the lake feel, there was already functional rustic decor like iron pots, metal collanders, rustic bowls and cutting boards. But there are always ways to add touches of "lake" to the mix. A couple of tea towels with a rustic feel, and a beautiful fish bar tool atop an elegant old barrel wood cheese & charcuterie board. Just the right touches. Uncorked Fish Bottle Opener, Seibels Cottage. Barrel Cheese Board with Fish Bottle opener and Custom Tea Towel, Seibels Cottage. 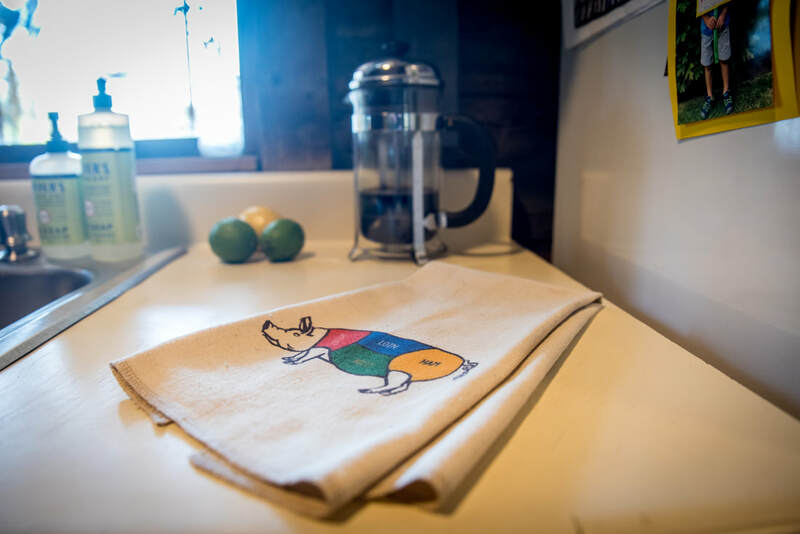 Custom Tea Towel (Ham), Seibels Cottage. Custom Tea Towel (Beef), Seibels Cottage. In tight quarters, it doesn't require much decor near the fireplace to get cozy, items in this area should be small, easily moveable, and very functional. Create an area inviting to those entering from the cold to take immediate reprieve in the warmth. Barrel Stave Bottle Opener, Seibels Cottage. Metal House Log Holder, Seibels Cottage. Mango wood and leather folding stools, Seibels Cottage. Richard Bishop Decanter Gift Set, Seibels Cottage. Brazilian Cowhide Rug, Seibels Cottage. ​Tiny bedrooms call for serious comfort and lush bedding. 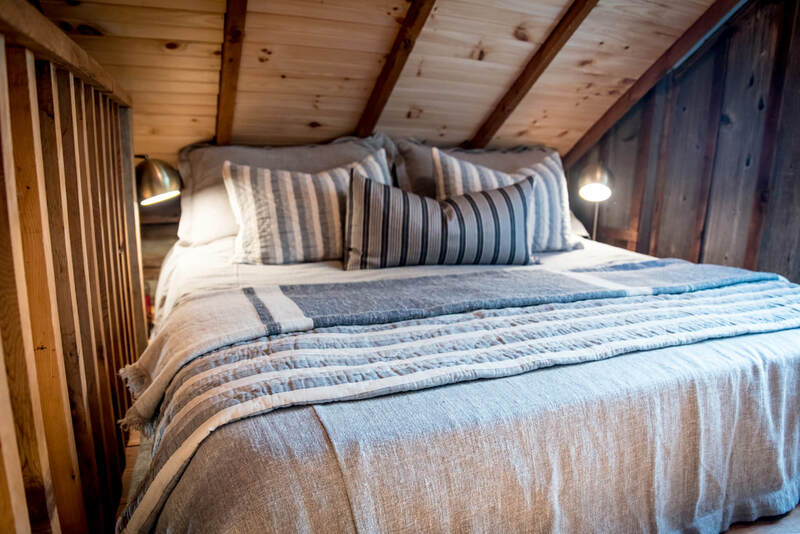 The master is in the loft, so there isn't any room for extra furnishings, the king bed takes up the whole area, so lighting and plush pillows help pull together a cozy resting area. Functional, well made and handsome bedding with good lighting and a couple of whimsical touches for the boys' room was easy to accomplish. MASTER: Bedding from Seibels Cottage. Call Seibels for information on bed linens. 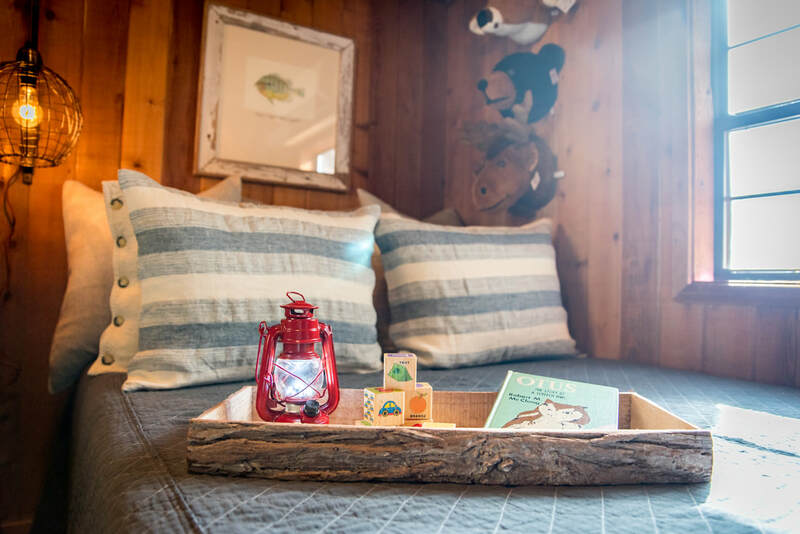 Bedding, Lighting, Plush Animal Sconces, and Framed Fish Prints from Seibels Cottage. Call Seibels for information on bed linens. 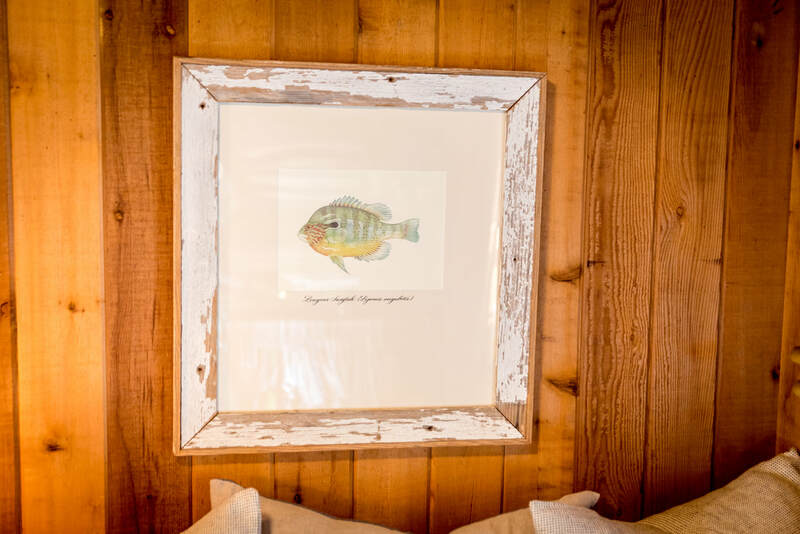 Custom Fish Print, Seibels Cottage. Wire Pulley Sconce, Seibels Cottage. 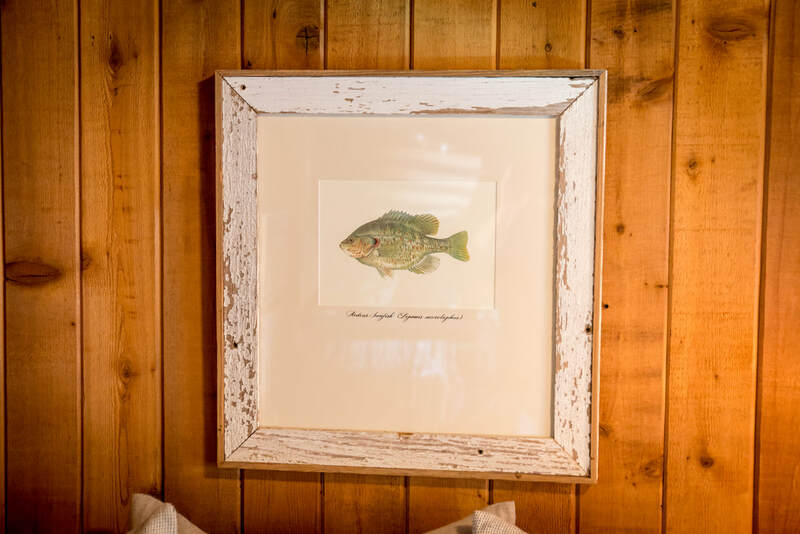 Custom Fish Prints, Seibels Cottage. 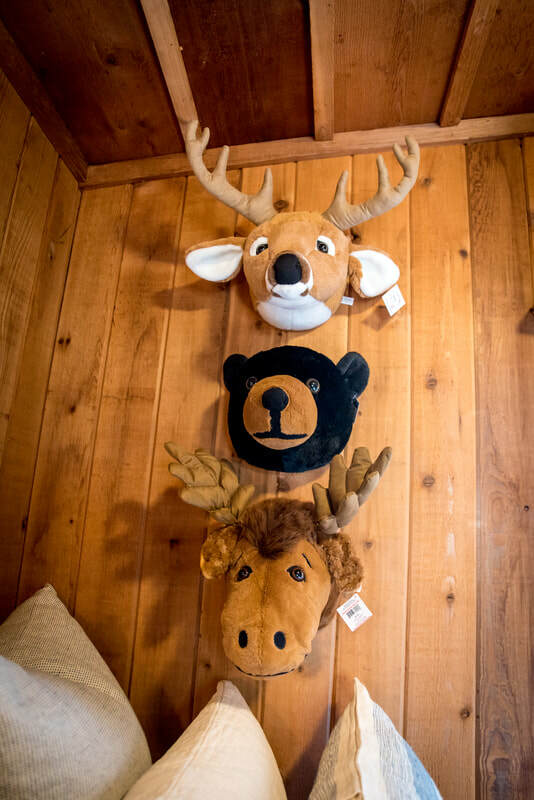 Wall Toy (Link is for White Tailed Deer), Seibels Cottage. In this companion blog to the article, we've highlighted the feature products in each room seen in the article, but if you want to know more about any items that are not linked, just call Seibels Cottage at 205-879-3558 or visit the website www.seibelscottage.com. Don't hesitate to ask for Designer Emma Doss, who can help guide you on choices perfect for your home that will help make a statement of the spots in your home that you are seeking to spruce up. Enjoy shopping with Seibels Cottage! We will soon post behind-the-scenes unseen photos here as well, in a slideshow. Check back soon! So who's it gonna be for the 2018 SEC Championship - UA v UGA?! As for us, well we are definitely a house divided, and we enjoy the banter on game day. We are originally from South GA, born and raised, but we moved to Birmingham back in 1997 and once we discovered Lewis Smith Lake, we never looked back. We are definitely Alabamians now, almost 22 years on Smith Lake and at least one of us is a full blown Tide fan. But, we do have a heart for the Georgia Bulldogs too, so we are torn by birthright indeed. Our son is a self-professed "Auburn Tiger" along with some other members of the family, so we've had 2 weekends in a row of game day division in the household. So... are you cheering for the Crimson Tide or are you a Dawg fan? The SEC Championship is a fun game to watch no matter what. Nothing we southerners love better than to good-spiritedly duke it out over football! And another thing we love to do on game day is EAT! It's always interesting to try a new recipe we can cook up quick, slap on the table, eat and get down to the more serious business of cheering on the team. This one can be done on the grill, or in an iron skillet on a stove, making this a very versatile recipe regardless of whether you are comfortably at home, or lucky enough to be in the action tailgating. Try it out! Recipe provided by our reader, Eric W. Bowman. Thank you Eric! Using a cast iron skillet, saute sliced onions, mushrooms, and jalapenos in grape seed oil & balsamic vinegar (season slightly with salt, pepper & a pinch of garlic powder). When ready, remove from heat and place in a bowl on paper towels to remove excess oil. When burgers are done, place sliced cheese of your choice on top while in the skillet and allow to melt. Once you've taken the burgers out, place them on a paper towel and allow the grease to drain off. Now you will be ready to plate the burgers to serve. Place burgers on the plate, cover each patty with a portion of the sauteed onions, mushrooms & jalapenos. Drizzle buffalo sauce, ranch dressing and mustard (mustard is optional). Add fresh ground black pepper (optional). They can be put on buns or eaten without. We ate without since we had lots of chips around for game day, and we had a carb loaded side too (see below). Serve with your favorite roasted veggies. We like to roast broccoli or fresh brussell sprouts with this kind of gourmet burger. Another favorite side is our special Smith Lake Smashed Potatoes. Finally, be sure to have either spicy pickled okra or our favorite Wickle's Pickles Dirty Dill Spears - just the right amount of heat to keep this dish as amped up as the game. Preheat oven to 450 degrees F. Line a large baking sheet with parchment paper or tin foil. Add potatoes and 1 T kosher salt to a medium saucepan. Cover with water and bring to a boil. Reduce heat and simmer until potatoes are tender, about 20 mins. Drain and place potatoes back into saucepan. Add butter and toss to coat. Transfer potatoes to prepared baking sheet, spreading them out in a single layer. Use a glass or heavy mug with a wide base and smash each potato to about ½” thickness. Bake for 15-20 mins, remove potatoes from oven, and turn each with a spatula. Drizzle with olive oil and continue baking for 15-20 mins more. Once baked, removed from oven, sprinkle with vinegar, chopped chives or onion tops, salt and pepper. For garnish & fresh flavor bites between, sprinkle a few fresh tiny grape style tomatoes over the crispy potatoes. Serve hot immediately! Southern iced tea with lemon, of course, and we have a tasty recipe for that as well - just message us! Or try out a nice cold beer in a tall frosty mug from a favorite local lakeside shop like Cabin Fever Beverages or Cornerstone Beverages. They always have some great cold beers on hand for you to choose from. ENJOY & get back to the game - there's a championship on the line! GO DAWGS & ROLL TIDE!!! And Super Bowl is coming up soon too. A lot of good football left. GO TEAM! The Lakeside Life celebrates the ultimate Smith Lake love story of Big Bridge mural fame—Kurt & Cathy Bowden—with a ​limited edition t-shirt featuring a custom print of a painting, a watercolor with line and wash, of Big Bridge designed by local artist Scott Brown (see link below for our previous blog on the artist ) & printed by Nogginhed of Huntsville, AL. Please read below how proceeds will benefit our local area. ​ (Also, find the articles on Kurt -n- Cathy in links at the bottom of this blog). If you read our article titled "The Answer - Smith Lake's Famous Romance, Kurt & Cathy Bowden" in the Spring 2018 Issue of our magazine (see links below), then you know a little about our good friends for whom this project came about. We have had the pleasure of getting to know the Bowdens much better since doing the article, and have had the joy of spending lake time with them as well. And, by the way, they are no strangers to watersports. We've already had Kurt Bowden riding a Slingshot Wake Foil for quite some time now, and honestly, we can't find a watersport that he can't master, including our Sky Ski Hydrofoil. Kurt and Cathy are such a fine example of the best in lake people - fun, outgoing, welcoming, kind, open and sharing - they remind us how we all feel as though we meet no stranger on the lake. Where our boat docks are like backdoors in this neighborhood that shares one common backyard we love and cherish, and it binds us together - Lewis Smith Lake. We feel lucky to have met these new friends & neighbors who we now share a very special bond with, as we identify with so many of their life experiences in a profound way with incredibly deep empathy and caring. 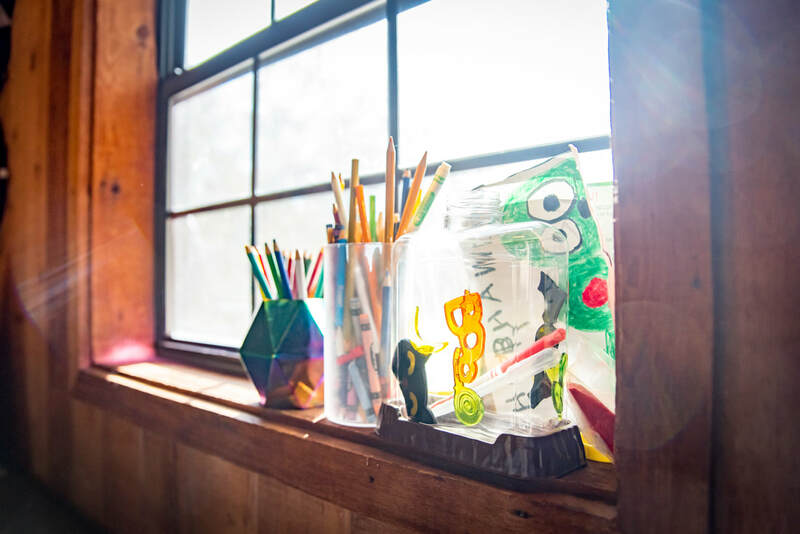 1) Winston County's Meek Schools in Arley, AL "The Heart of Smith Lake" (for art supplies) in memory of the Bowdens’ beautiful daughter Dianna Bowden. 2) The Humane Society in memory of the Bowdens’ Yorkipoo, "Todulz." Shirts will be available to pre-order through late fall 2018. Don't miss out on the opportunity to own or gift one of these buttery soft thin and comfy Bella Canvas t-shirts made for us by Nogginhed Tshirt Co. of Huntsville, AL - also a Smith Lake business owned by Smith Lake residents Allison and Darren Sackett. Join us in celebrating Smith Lake's infamous couple, Kurt & Cathy Bowden, while doing something wonderful for our lake community. We had the pleasure of getting to know Jamie Burnett, creator of Unsalted Waters through social media in the last several months. 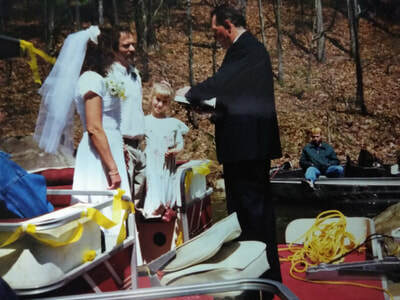 All of us were female entrepreneurs, embarking on new ventures in the lake industry in Alabama - and all of us true creatives with original ideas and different ways to express them. We were drawn to Jamie for her creativity, fun spirit, and authentic product designs. 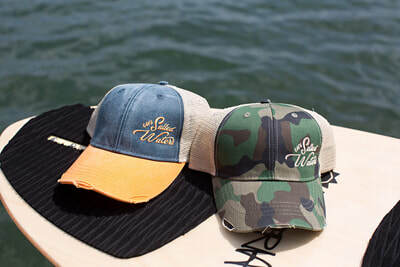 Unsalted Waters quickly became a favorite lake product page to watch. We had to know more, so we reached out to her, and we just had to inquire about that fun name for her company. We found out we have so much in common, and we've become very big fans of Jamie, and UnSalted Waters. We know you will feel the same. She is branching out from Lake Martin into the larger lake scene, by bringing her fun and creative decals designed for outdoor living to Smith Lake and other lakes in Alabama. We hope to collaborate with Jamie in other ways, but for now, we celebrate her originality and creativity, and the UnSalted Waters brand. Read below for more about Jamie and her company. UnSalted Waters is lake lifestyle brand that was created in 2017 by Lake Martin and Auburn resident, Jamie Burnett. 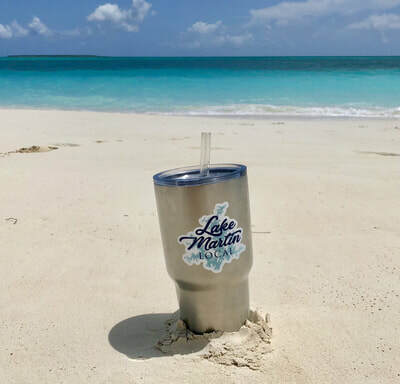 She started with Lake Martin, as that's where her inspiration has come from, but UnSalted Waters is really for anyone loving our warm southern lakes. All of the products she carries are produced here in Alabama using local screen printers, local embroiderers, craftsman and printers, right down to the tags on the merchandise. That was important to her—to shop local. She gets a lot of messages asking where her store is, but it's only online at unsaltedwaters.com and in a couple of small stores locally. 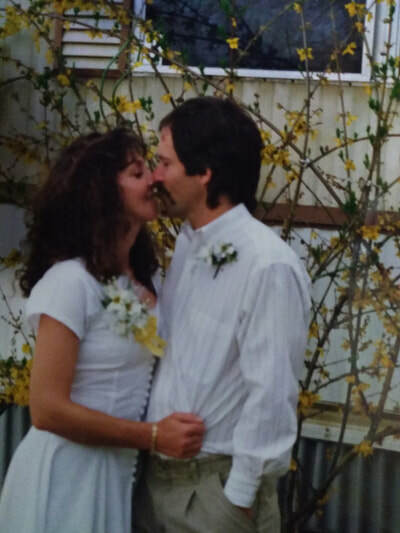 As mom and business owner it was also important to her to not take away time from her family, so she works from her home office and ships daily as new orders come in. If you get a shipping notification at midnight, she actually packed your order and printed the shipping label at midnight. At the end of the day, she wanted to provide a high quality product that you can't find anywhere else. 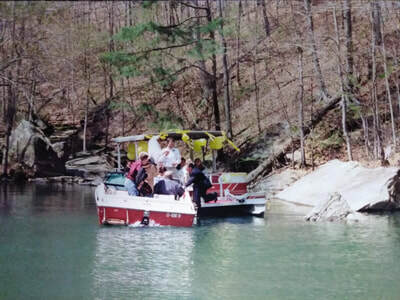 Something unique to your experience on the water. 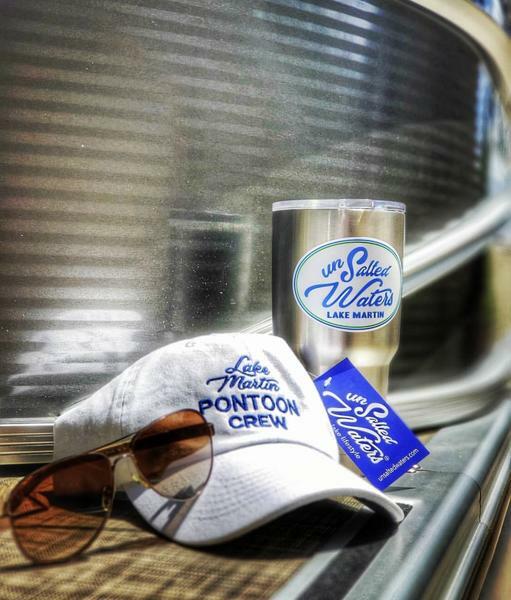 Even if it's just a decal on our cup, you're able to take a piece of the lake with you until you can return. This summer, UnSalted Waters offered a special t-shirt for Goat Island on Lake Martin giving 50% of the profits to help the goat owners pay for the care of the goats. She was able to give them a nice sum to go towards medical expenses and food. She felt led to give back in some way and knowing how many love to visit the goats on Goat Island, it seemed like the prefect opportunity to use the brand she had created to support something that everyone could enjoy. Her website, unsaltedwaters.com, has become not only an online store but since she started the blog in early 2018, a place to share local stories of other lake entrepreneurs, fresh and easy lake recipes for a day on the boat and fun cocktails. A little something for everyone who loves an adventurous lake lifestyle. 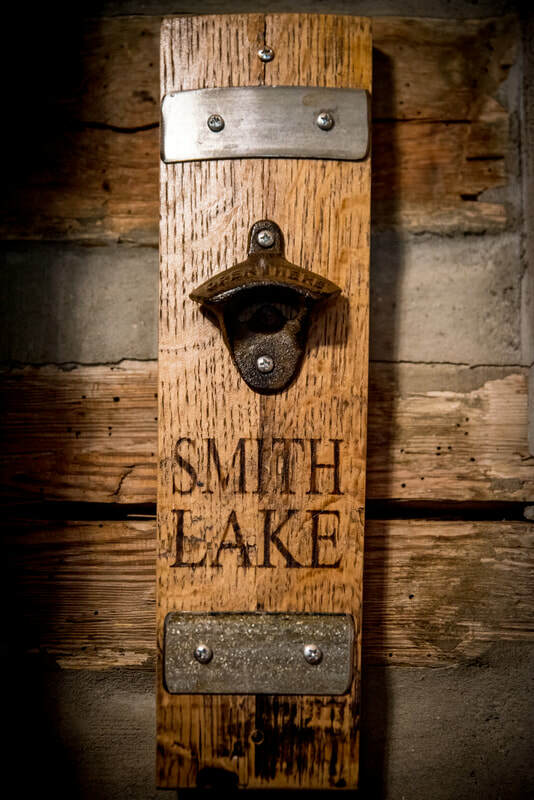 You can find UnSalted Waters online through Facebook as @unsaltedwaters or Instagram as @unsalted.waters - so go check out what she has to offer, and watch closely for beautiful lake posts, and classy lake products. We welcome Jamie to the Alabama lake scene and wish her the best in her unique and original endeavor - Unsalted Waters ™!